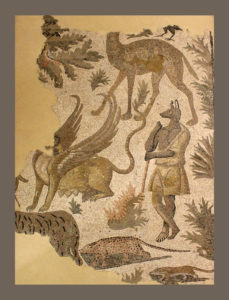 The paper focuses on the interpretation of the so-called “Anubis’ Mosaic”. It has been discovered in Rimini during 1948, and it is just in part preserved. Many scholars tried to explain the meaning of the depiction, but the presence of a dog illustrated like a shepherd created some difficulties about the comprehension. That figure is not alone: there are others exotics and originals animals. 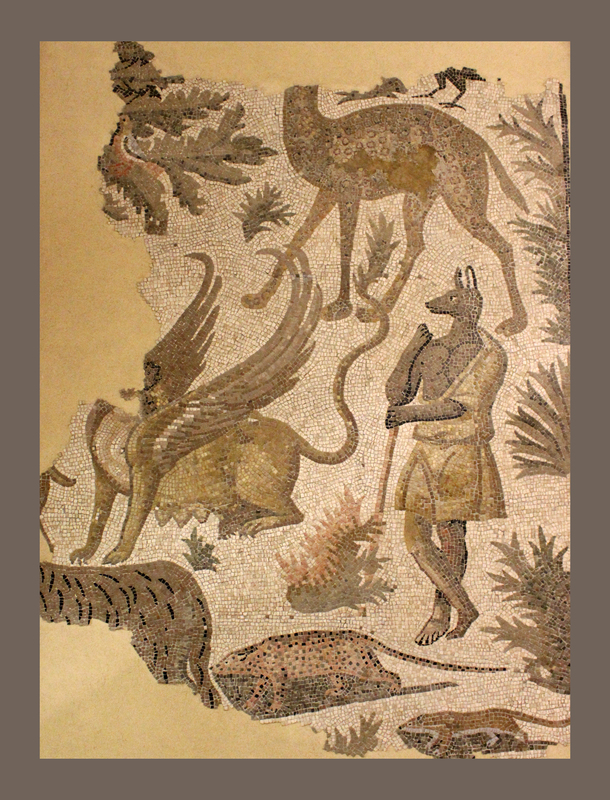 In conclusion it’s possible that the mosaic represents a catalog of uncommon animals, like some ancients authors seem to suggest.